The Britsh newspaper the Guardian reports that Frederick Forsyth, the author of such classic thrillers as The Day of the Jackal and The Odessa File, is through writing thrillers. After a dozen novels and 70m book sales, British writer Frederick Forsyth has said he is giving up on thrillers because his wife told him he can no longer travel to adventurous places. “I’m tired of it and I can’t just sit at home and do a nice little romance from my study,” said the 78-year-old, who revealed in a memoir last year that he had worked extensively for the MI6 spy service. 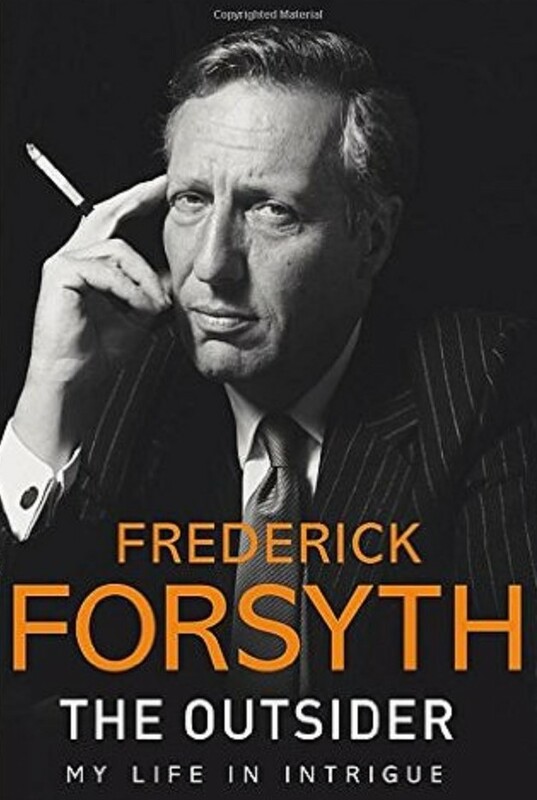 “I ran out of things to say,” said Forsyth, who trained as a Royal Air Force pilot before joining Reuters news agency in 1961 and beginning his career as a novelist in the 1970s. ... He said his memoir The Outsider was his swan song.